Hundreds of high school students and teachers from the New York City area attend the annual seminar. For the first time, our annual seminar for high school students and teachers from the New York City area will be available to watch live from around the nation and the world. 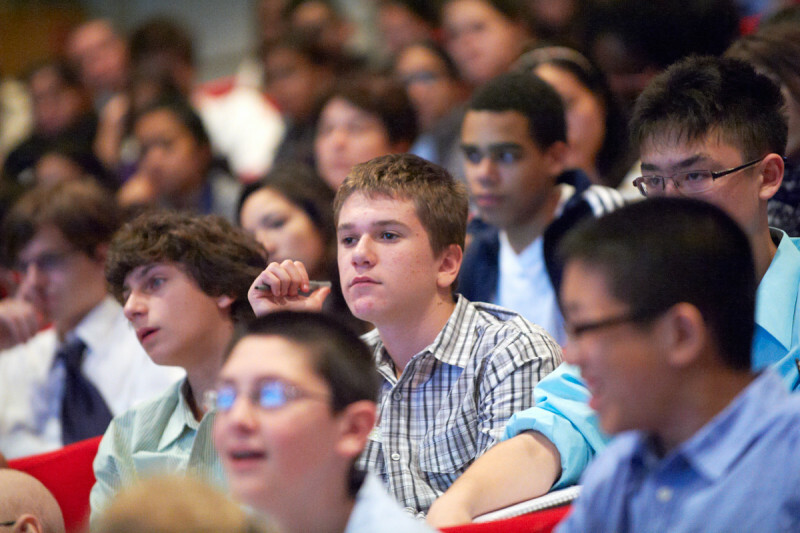 For the first time, our annual Major Trends in Modern Cancer Research seminar for high school students and teachers from the New York City area will be available as a live webcast for viewers from around the nation and the world. Now in its seventh year, this program is designed to foster young people’s enthusiasm for science and medicine. About 500 people are scheduled to attend the seminar at Memorial Sloan Kettering’s campus on Manhattan’s Upper East Side. This year’s seminar will begin with remarks from Memorial Sloan Kettering President and CEO Craig Thompson. Two scientists who are also identical twin brothers, neuropathologist and physician-scientist Jason Huse and immunologist Morgan Huse, will describe their current research. Jason will use examples from recent brain tumor research to demonstrate how molecular pathology might lead to more-personalized cancer care. He is a member of Memorial Hospital’s Human Oncology and Pathogenesis Program, which strives to translate molecular insights into new treatments for cancer. Morgan, who works in the Sloan Kettering Institute’s Immunology Program, will talk about how T cells — a type of white blood cell — adjust their orientation to mount specific responses against infections or cancerous cells without harming healthy tissue. As it turns out, both were naturally drawn to science and its promise of providing a way to explain the world with extreme precision. Jason also had an interest in clinical work, and holds an MD as well as a PhD degree. Memorial Sloan Kettering Cancer Center provides a professional home to both of them.